We have had a great break at the Gold Coast. Of course we included a bit of training as well attending a training seminar with all our friends. As you can see Chloe has become obsessive checking out all the magazines for our story which will be appearing in a magazine very soon. Mum keeps telling her it won’t come out until next week and it will be “Thats Life” Magazine. 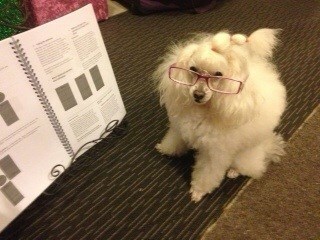 I am getting a bit worried about how much Chloe had to say – she better have included me in the Magazine!! !